The last few months of the year are packed full of fun holidays, family traditions, and endless plans. While most people love the holidays and being able to spend this quality time with their family, the holidays can often become stressful. From planning a dinner for 20 people to figure out the perfect gifts to scheduling all the holiday parties into your schedule, the holidays can be a lot to handle. But one important thing to remember is that holidays are supposed to be fun and relaxing, not stressful! If the holidays are adding more stress to your life than necessary, you need to take a moment to de-stress! 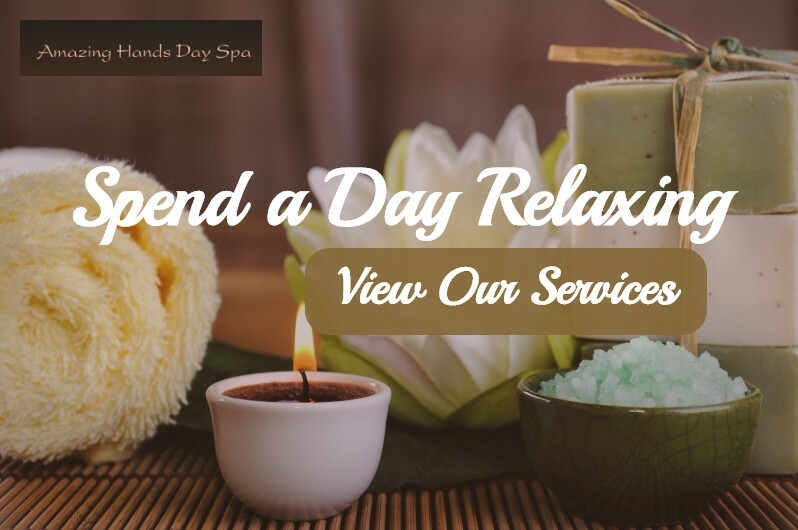 At Amazing Hands Day Spa in Bartlett, we know that stress is common, especially during the holidays, and that is why we are going to create a list of tips for you that can help you relax and de-stress as the holidays roll around! Read on to learn more. Keeping pieces of your routine the same can help you avoid holiday stress and keep some normalcy in your life. If you go for an hour-long walk before dinner everyday, keep doing this. Find another time to run errands that doesn’t cut into your daily schedule. Just plan ahead and keep your routine intact. Being active can help you de-stress or avoid stress in the first place. Whether you go for a walk to de-stress, do yoga every morning, or hit the gym after your workday, staying active is important when it comes to not stressing during the holidays. Even if it is a quick walk around the block, try to do something active every day. The great outdoors is very beneficial when it comes to stress. Breathing in some fresh air can help you relax and release some stress. You can even kill two birds with one stone by heading outside to stay active. It can be overwhelming when you think about everything you need to do before the holidays roll around. But when you make lists, it can help you visualize everything you have to do. Stay organized and be sure to cross things off of your list as you go. Nothing is better at relieving stress than crossing to-do items off of your long list! When you are not organized, it can be easy to feel more stressed. This goes hand-in-hand with making lists. Lists, decluttering, and being organized while dinner planning, present shopping, and even decorating can help you feel more relaxed throughout the holidays. Contact us to schedule your holiday massage and stay relaxed throughout this holiday season!